Birthday Parties should be fun! Unfortunately, a birthday party can pack a lot of stress especially if you’re keeping up with the Pinterest-perfect party. Instead, keep it simple and follow these tips for hosting an Autism-friendly birthday bash that your child can appreciate and enjoy and specific ways your BCI team can support your efforts! First consider, where is my child most successful and where can he/she be themselves. Perhaps a park or in your backyard will allow them to run and play in a safe environment. Perhaps their own home is too comfortable and inhibits their use of language because they can retreat to their bedroom or focus only on a preferred electronic device. Second, what can he/she tolerate and will there be a quiet place for reprieve? If your child tends to get have difficulty with crowded or loud environments, choose a place that they could go to calm themselves, if necessary. BCI support: Behavior technicians can attend birthday party for additional support and generalization of skills. Less is more! One sure way to cut back on stress is to keep the guest list small. Discuss the guest list in advance with your child and demonstrate who makes up their circle of friends and why. If you’re not sure who to invite you can also ask your child’s school teacher who they get along with at school. BCI support: Behavior technicians can work on discussing friendships and circle of friends as a program for additional support. A birthday party theme and décor only serve one purpose: to make your child happy! If your child’s preferences and birthday theme has been the same for years and/or is no longer age-appropriate remember – don’t sweat the small stuff. If changing your home décor will upset your child, your guests will completely understand if there are no streamers and balloons. BCI support: Tolerance to change, like décor, is a skill that can be acquired overtime. Tell your clinician if this sounds like an area of programming you would be interested in! If opening gifts is stressful to your child try opening gifts at another time. This will take the focus off your child so they don’t have to be the center of attention. Another option may be to ask guests to make a donation to Autism Speaks, rather than bring gifts. Teach the skill of opening presents by wrapping boxes with a treats inside. The first couple of times offer your child hand-over-hand assistance with tearing paper and pulling tape open. Gradually with success you can provide less help. BCI Support: Social programming can focus on hidden rules, such how to react If you don’t like a gift. Sessions can also focus on saying thank you to guests or opening gifts independently. Practicing and rehearsing for an upcoming event can set your child’s mind at ease. Siblings or parents can pretend to be guests for your child to say “hi” and “thank you” to. 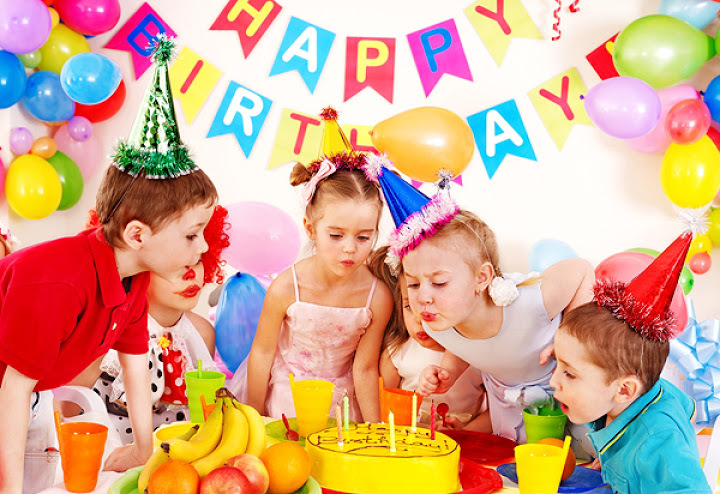 Teach tolerance of others singing Happy Birthday by starting with a recording of the song, then sing along with the recording, then singing without the recording and gradually louder. You can teach your child the date of his/her birthday and finding it on the calendar, keep a count down or cross off days on the calendar in anticipation. BCI Support: BCI can incorporate these birthday skills into existing programs during therapy. For example, during an imitation program your child can practice blowing out a candle. Parents, please speak to your clinician to initiate a birthday party preparation plan approximately a month in advance. BCI is always happy to assist in making your child’s milestones positive!